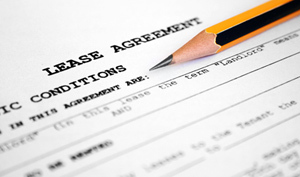 As you can pretty much predict, before we offer a tenant a renewal on the lease, we make sure the owner wants to renew. The owner of a rental property might have other plans such as selling the property, moving into the home himself or allowing a brother in law to live there. Once you establish the intent to renew with the owner, go to the tenant and make sure the tenant wants to renew the lease. If the tenants do want to renew their lease for another year or other period, we do a walkthrough of the property and inspect it. If everything looks good, we can push forward with the lease renewal. Next we have to decide if we want to raise the rent. That’s a conversation that we typically have with the owner, and it depends on the tenants and the circumstances. If there is a great tenant in the property and we want to leave that tenant alone and keep him in there as long as possible, we probably would not raise the rent at all at the time of renewal. If the tenant in the property is somewhat burdensome, we might increase the rent just a little bit. Remember that it is not uncommon to raise the rental rate. Apartment complexes do this regularly. So, it’s nothing totally unexpected. Apartment buildings might implement a small increase, as low as $10 or $20, but it’s a monthly increase. Do whatever makes sense to you and for your tenant when you are discussing the rental rate with your property manager. These are the things we walk our owners through at RentWerx San Antonio when it is time to renew a lease. We always want to make sure we have happy tenants and happy owners, so we do whatever we can to make the lease renewal process as easy and low maintenance as possible for everybody involved. If you have questions about how to renew a lease with your tenants, or if you are interested in more information about our property management services, please contact us at RentWerx San Antonio, and we would be more than happy to talk to you.